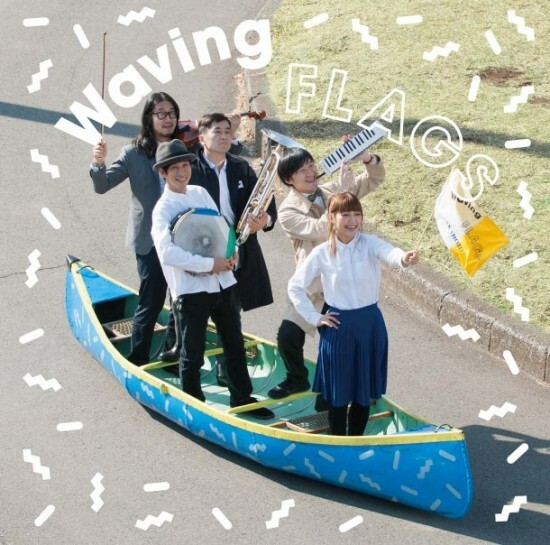 Sakamoto Miu will release her new album "Waving Flags" on March 5th. This will mark Sakamoto's first original album release in about a year and 7 months. It will be produced by Hasunuma Shuta, and there will be participation from various artists such as the members of Shuta Hasunuma Philharmonic Orchestra, Murata Shige (??? ), Ito Daichi (SAKEROCK), Gondo Tomohiko (pupa), Todaka Masafumi (ART-SCHOOL), and Tamaki ROY. Among the included 11 songs on the album are "Pierrot" provided by Nariyama Tsuyoshi (sleepy.ab) and a cover of illion's song "HIRUNO HOSHI" and ??? 's song "Otogibanashi".